When the renowned aviation hero and rabid isolationist Charles A. Lindbergh defeated Franklin Roosevelt by a landslide inthe1940 presidential election, fear invaded every Jewish household in America. Not only had Lindbergh publicly blamed the Jews for pushing America towards a pointless war with Nazi Germany, but, upon taking office as the 33rd president of the United States, he negotiated a cordial 'understanding' with Adolf Hitler. 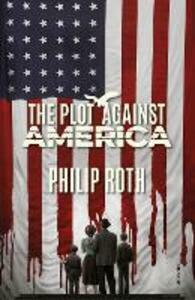 What then followed in America is the historical setting for this startling new novel by Pulitzer-prize winner Philip Roth, who recounts what it was like for his Newark family during the menacing years of the Lindbergh presidency, when American citizens who happened to be Jews had every reason to expect the worst.